With Atlassian Confluence as its core, Linchpin has a solid and powerful software foundation. These basic features, combined with modular Linchpin apps developed by //SEIBERT/MEDIA, provide you with a state-of-the-art collaboration platform that can be tailored to meet the needs and requirements of your organization. Discover what Linchpin has to offer! 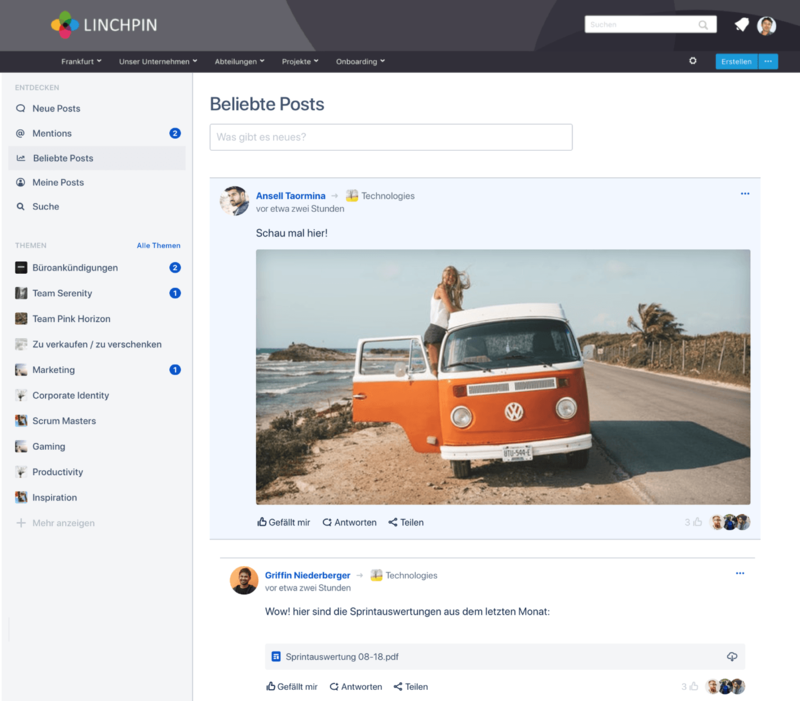 Linchpin provides the central place for knowledge within your organization, where it can be constantly expanded upon, optimized, commented on and shared. Information is stored in spaces that can contain any number of intranet pages and sub-pages. You can create spaces for teams, departments, projects or products, for example. Sharing knowledge is a great thing. But your organization also has information that shouldn’t be accessible to everyone. Linchpin solves this problem by allowing you to manage access rights separately for each space. Linchpin does not look the same for each of your colleagues but adapts itself to their individual needs. Based on the settings in your profile (e.g. language, location, department, interests, etc. ), Linchpin shows you appropriate navigation, a personal start page and tailored news. Linchpin’s user profiles finally provide you and your colleagues with the information you would never have been able to find. They help you network with each other and find suitable contacts for questions and problems. They also form the basis to personalize your intranet and provide you with a variety features like custom contact lists and organizational charts. To make sure that profile information is complete and up-to-date, you can make certain fields mandatory. Linchpin is not just for effective knowledge management, but also a tool for transparent, fast communication and collaboration. Modern community features let you exchange ideas, ask questions and discuss current issues simply and in context – there are no barriers to getting started, because you and your colleagues are already familiar with the social media functions as used by the well-known social network platforms. The mobile Linchpin app is the intranet in your pocket. No matter where you are, you can access the knowledge and participate in the latest discussions within your organization: pages and communities, news, your personal network featuring your colleagues’ profiles and more. Plus, the mobile version of Linchpin looks just like the one on your computer. 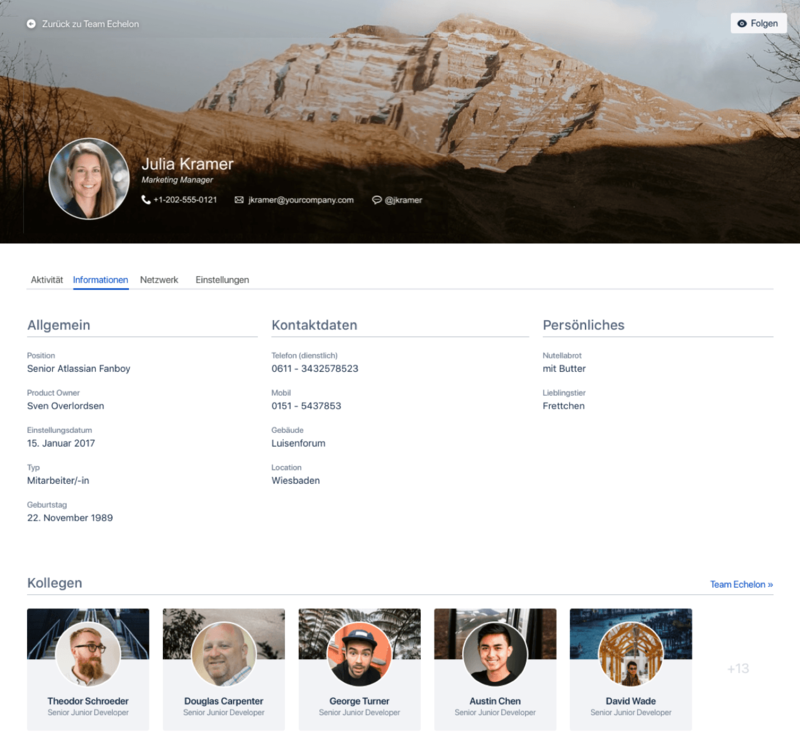 Advanced User Profiles Use profile details to personalize news, navigation — efficiently and effectively use your intranet and collaborate with your colleagues. Personalize Navigation Navigate quickly through Linchpin using a menu designed for you – e.g. based on your location, department and language. Expert Search Find experts quickly in your company with an advanced search functionality and useful profile features. Multilingual Cross-link and manage Linchpin content in multiple languages quickly and easily. Personalized News Share corporate news with everyone or just with specific user groups. Events Organize events and participants in Confluence with ease. Microblogging Share information and start discussions in your social timeline to collaborate quickly with your colleagues. Rich Text Editor Create and format content quickly and attractively — “what you see is what you get” just like you are used to in Word or Google Docs. Mandatory News Reach your colleagues with important information and make sure they confirm they have seen it. Concurrent Editing Collaborate with your colleagues at the same time on content and see their changes in real time. Content Versioning Track all content edits and roll back to previous versions easily. Comments & Likes Give feedback and collaborate on content with comments and likes, or notify your colleagues inline with @mentions. Extranet Spaces Collaborate with customers and partners in secured extranet spaces. App Center Access your favorite applications, systems and websites at any time with your customizable app center. Quality Management Optimize your processes — create templates and workflows for technical documentation, editorial and quality management, ISO certification procedures and more. Diagrams Create and track changes to diagrams within your pages: flow charts, network diagrams, organization charts, mind maps, business processes, UML diagrams and more. Chat Integration Communicate directly with your colleagues from a user’s profile using Skype for Business or many other chat clients. Mobile App Access and collaborate your Linchpin social intranet – whenever and wherever you want. 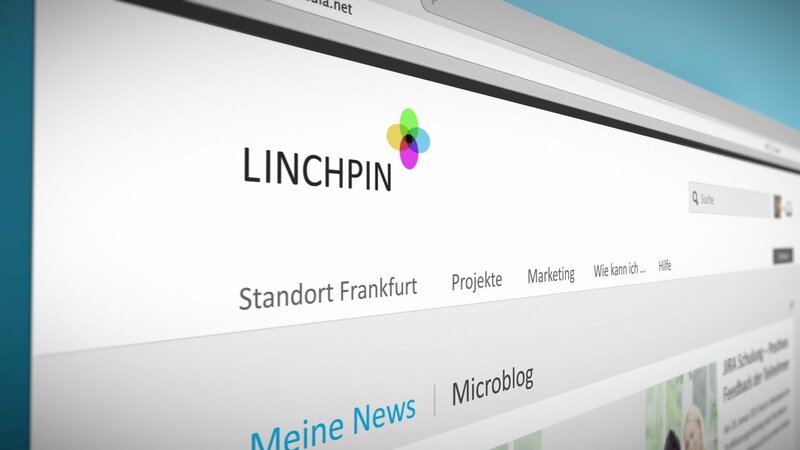 Linchpin Touch Give all employees access to your intranet, even if they don’t have a workstation, via a customizable digital bulletin board. Issue Manager Create, edit and search for Jira tickets directly from within Confluence. Corporate Theme Customize the design and ensure your intranet matches your corporate image. Use profile details to personalize news, navigation — efficiently and effectively use your intranet and collaborate with your colleagues. Navigate quickly through Linchpin using a menu designed for you – e.g. based on your location, department and language. Find experts quickly in your company with an advanced search functionality and useful profile features. Cross-link and manage Linchpin content in multiple languages quickly and easily. 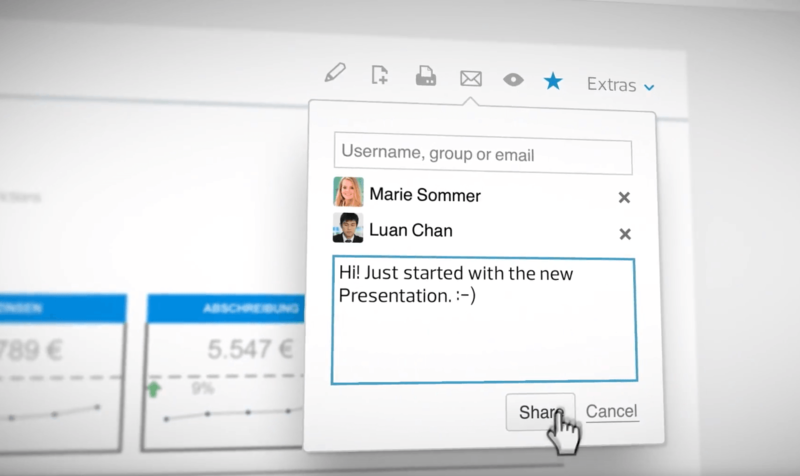 Share corporate news with everyone or just with specific user groups. Organize events and participants in Confluence with ease. Share information and start discussions in your social timeline to collaborate quickly with your colleagues. Create and format content quickly and attractively — “what you see is what you get” just like you are used to in Word or Google Docs. Reach your colleagues with important information and make sure they confirm they have seen it. Ensure everyone reads and consents to your intranet’s terms of service before they start to use it. Collaborate with your colleagues at the same time on content and see their changes in real time. Track all content edits and roll back to previous versions easily. Give feedback and collaborate on content with comments and likes, or notify your colleagues inline with @mentions. Collaborate with customers and partners in secured Extranet spaces. Access your favorite applications, systems and websites at any time with your customizable app center. Optimize your processes — create templates and workflows for technical documentation, editorial and quality management, ISO certification procedures and more. Create and track changes to diagrams within your pages: flow charts, network diagrams, organization charts, mind maps, business processes, UML diagrams and more. 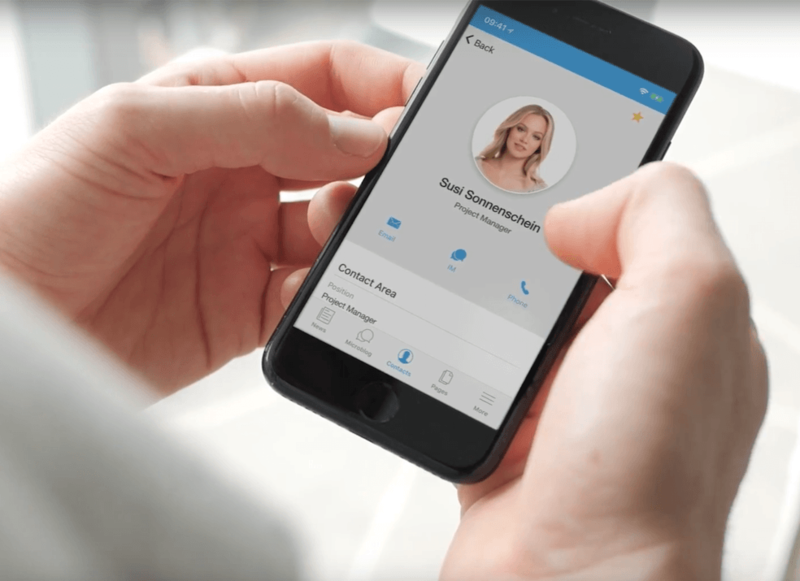 Communicate directly with your colleagues from a user’s profile using Skype for Business or many other chat clients. Access and collaborate your Linchpin social intranet – whenever and wherever you want. Give all employees access to your intranet, even if they don’t have a workstation, via a customizable digital bulletin board. Create, edit and search for Jira tickets directly from within Confluence. Customize the design and ensure your intranet matches your corporate image. Are you missing a specific feature? Does Linchpin not completely meet your requirements? Then help us develop a solution to meet your needs – share your ideas directly with our development team. Share your feedback and ideas now!